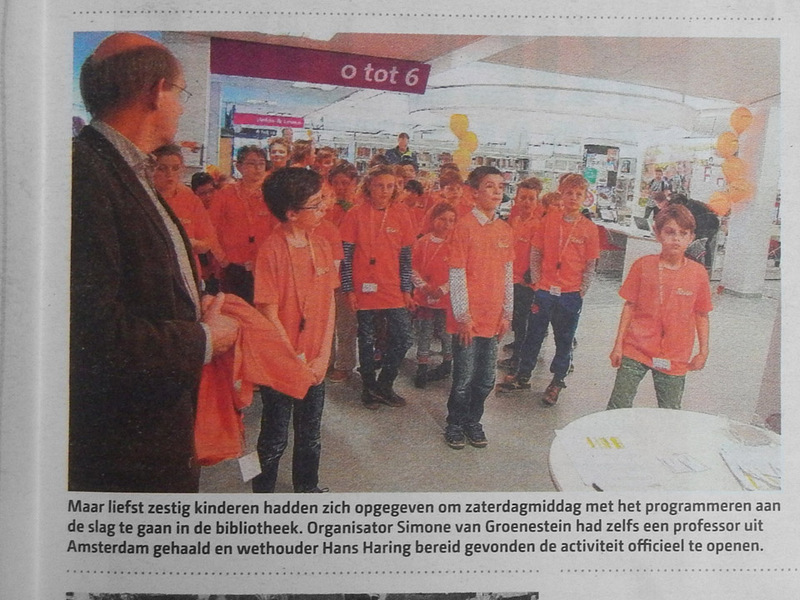 The first CoderDojo in Woerden, organized by Cym, was a huge succes! More than 60 children aged 8 tot 13 years old found their way to the library to enjoy an afternoon of coding, fun and pizza. The event was opened by someone from the executive board of the municipality. 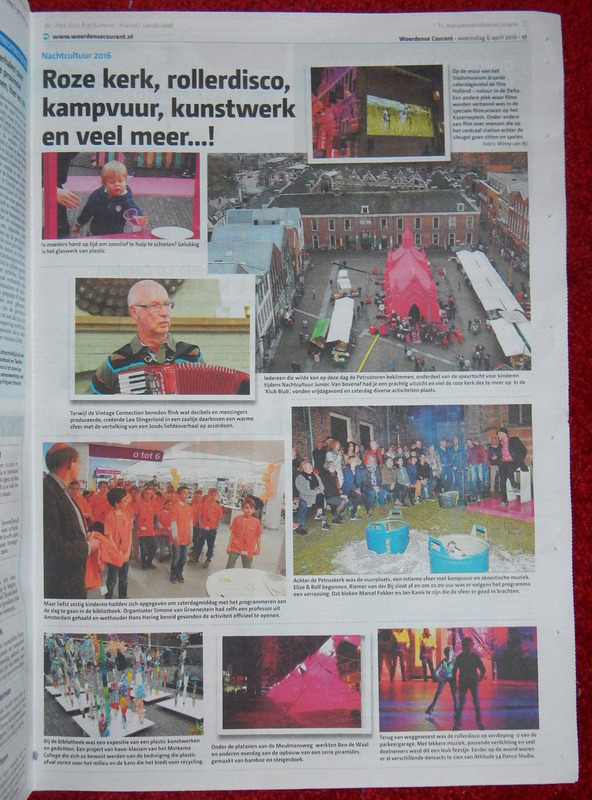 The local newspaper published a photo in the week after the event. The event was part of the festival Nachtcultuur.